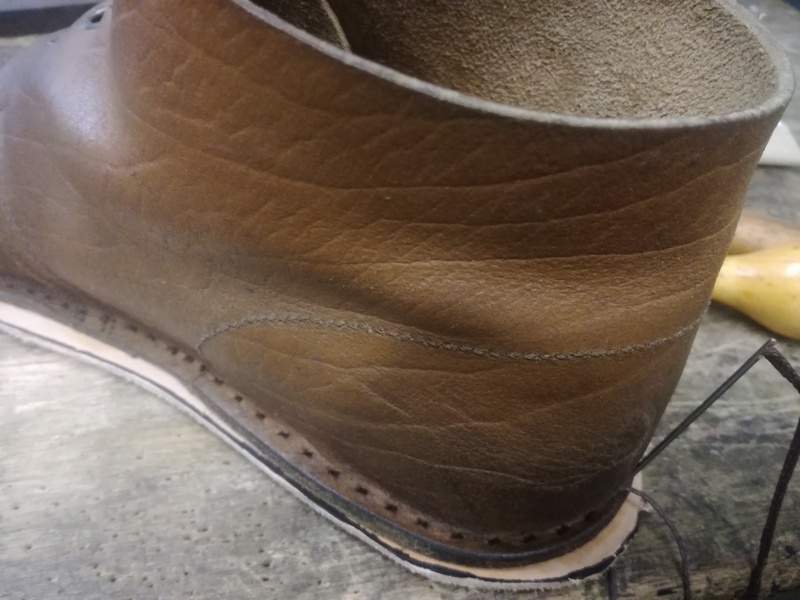 I completed my second pair of vellies. 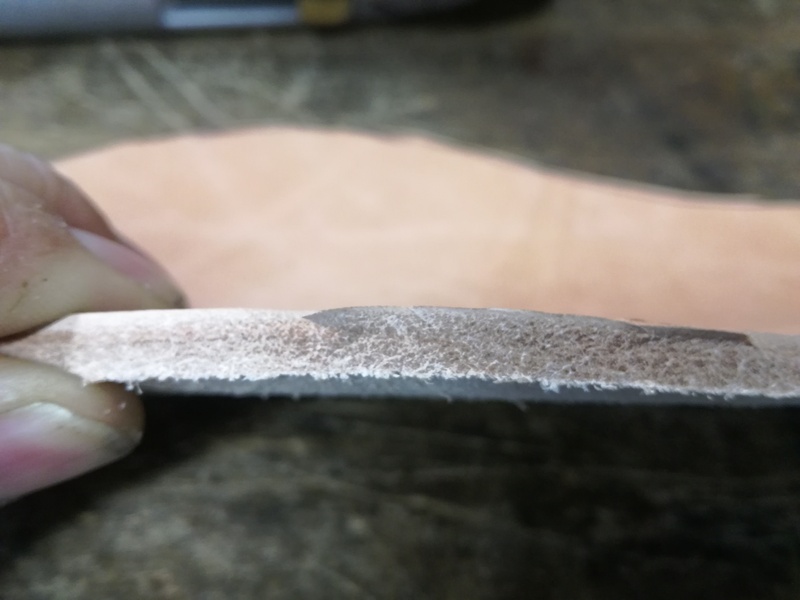 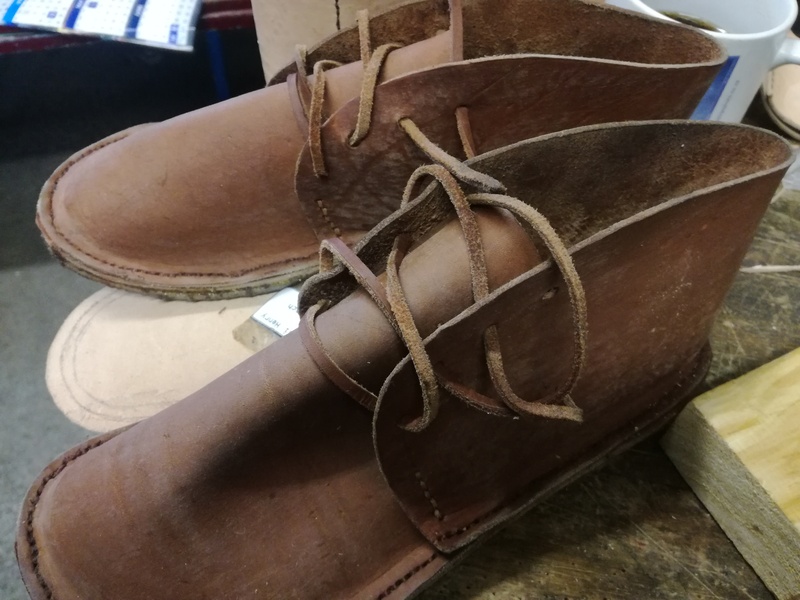 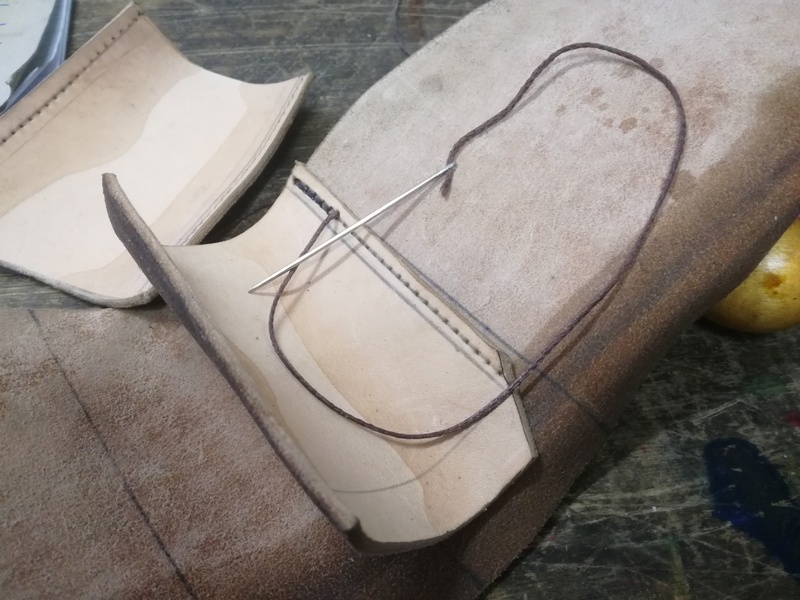 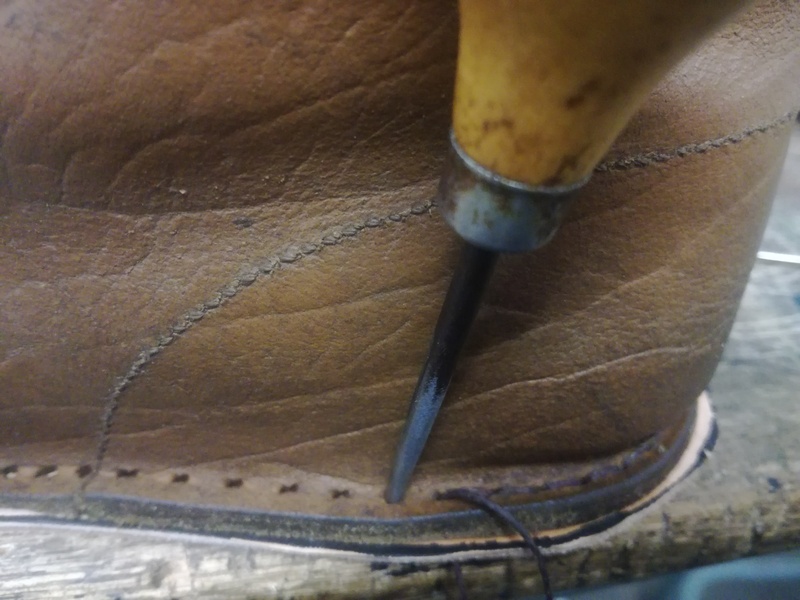 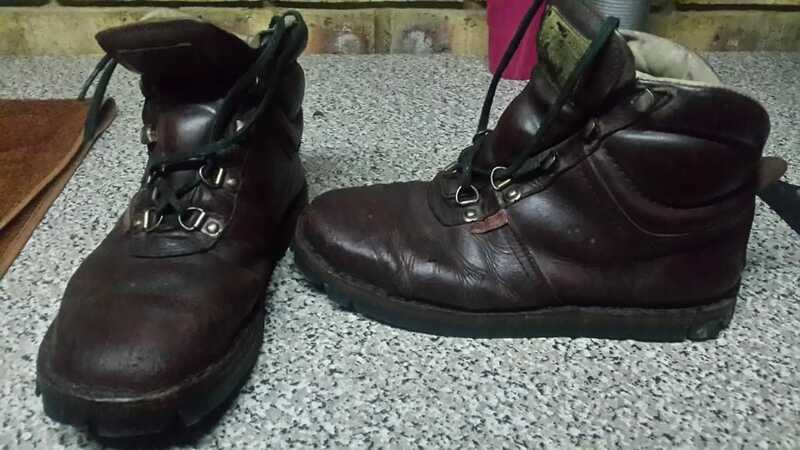 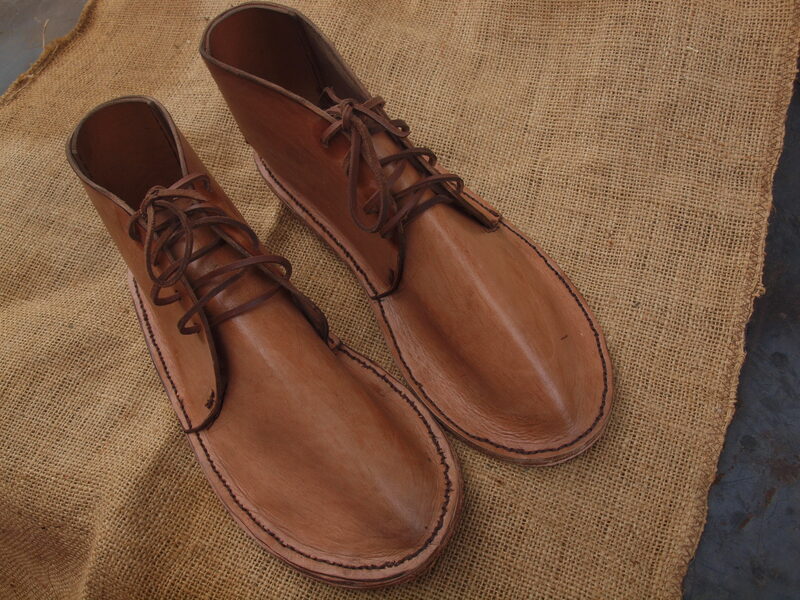 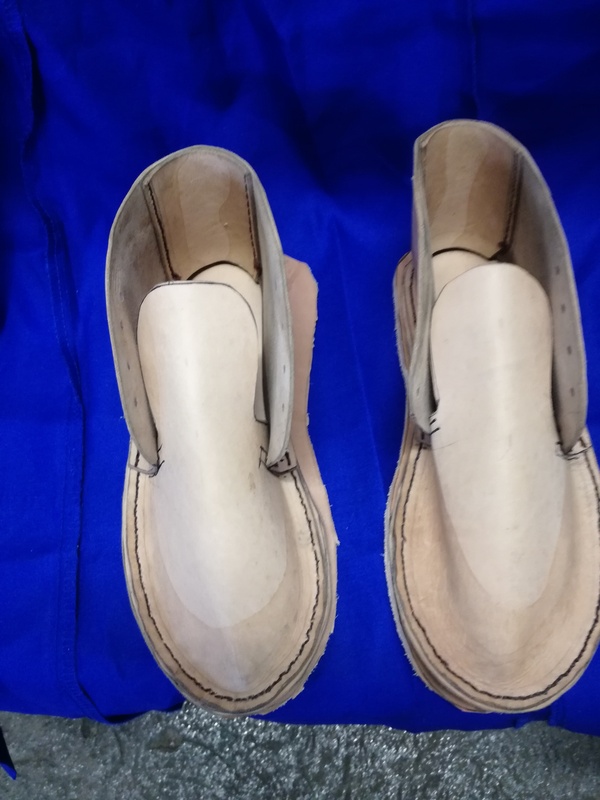 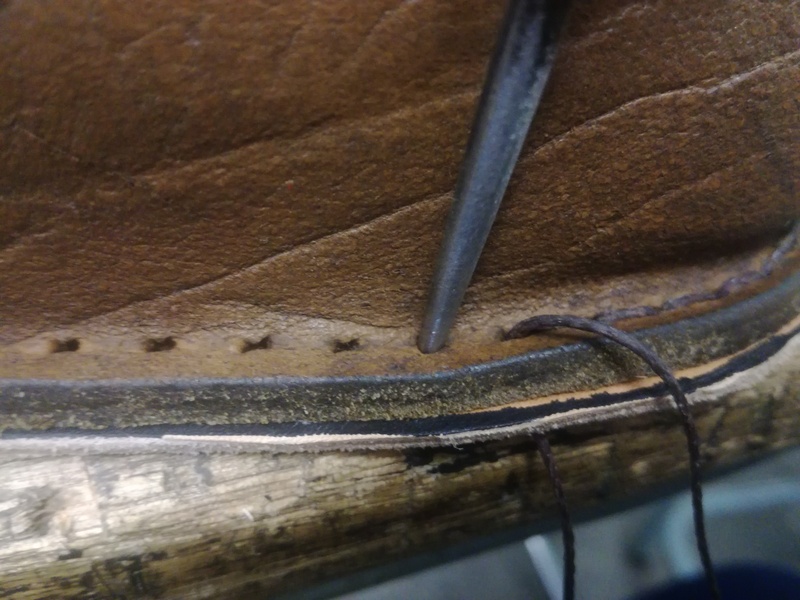 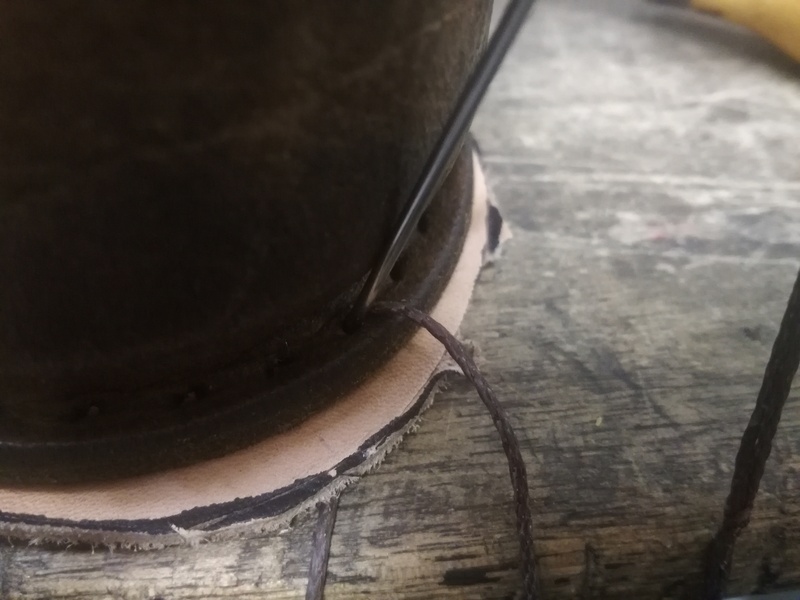 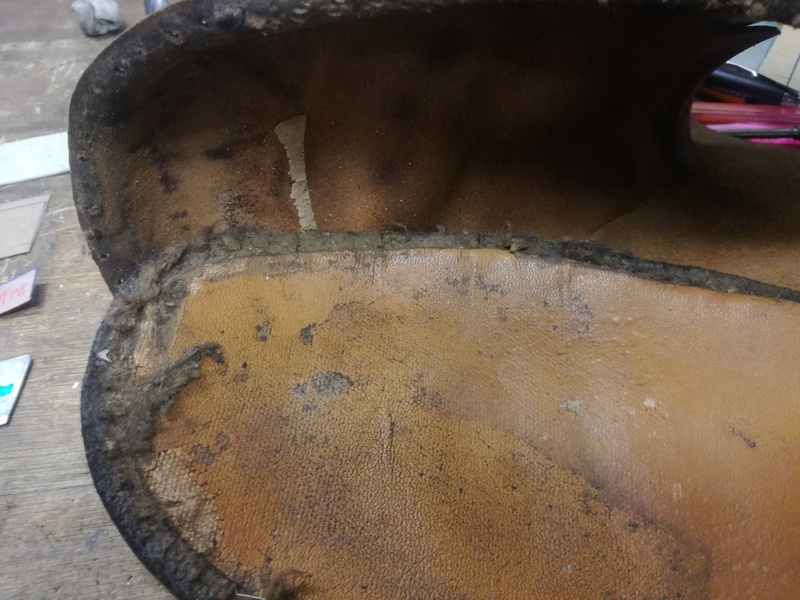 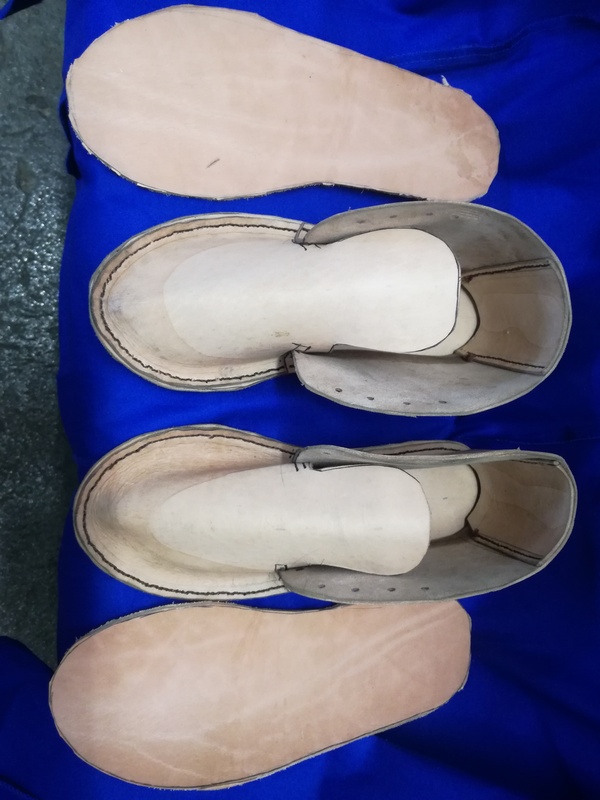 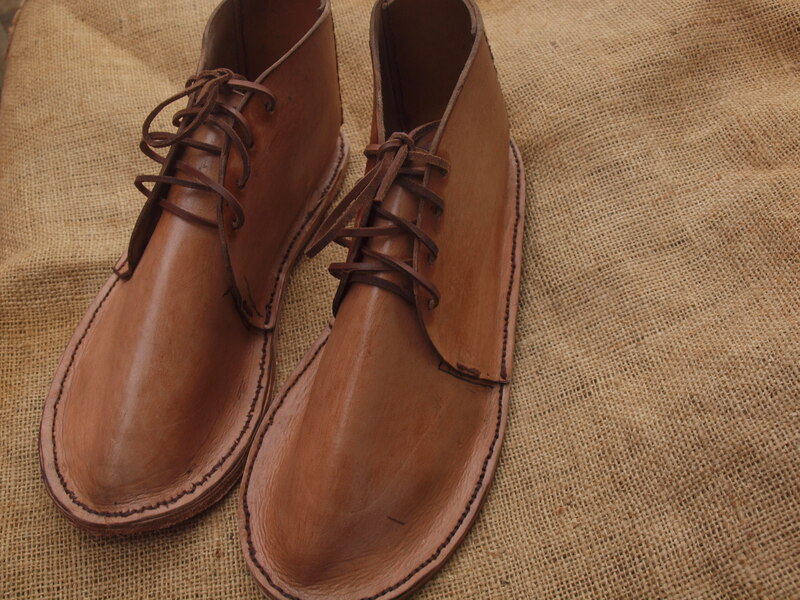 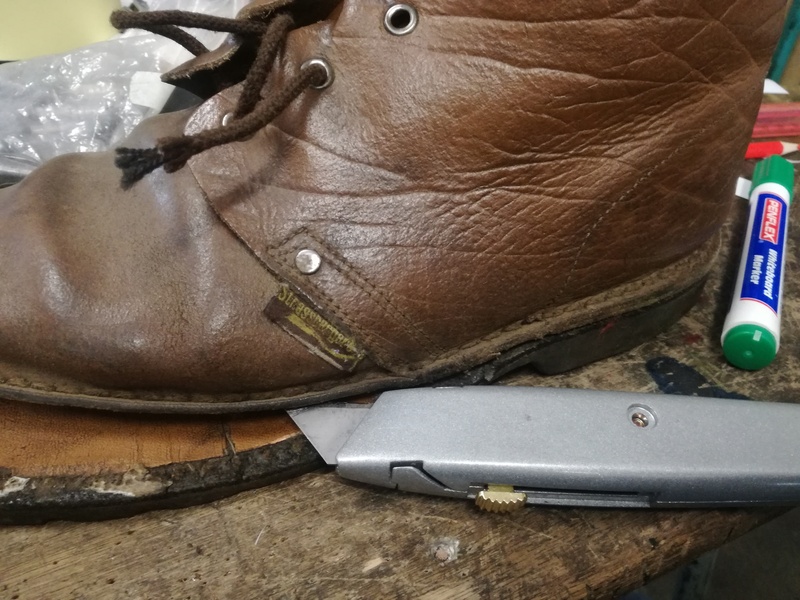 There is a parcel on it`s way from Cape Town containing leather dye, shoelace cutter, crepe sole , some extra leather needles and leather conditioner/water proofing solution. 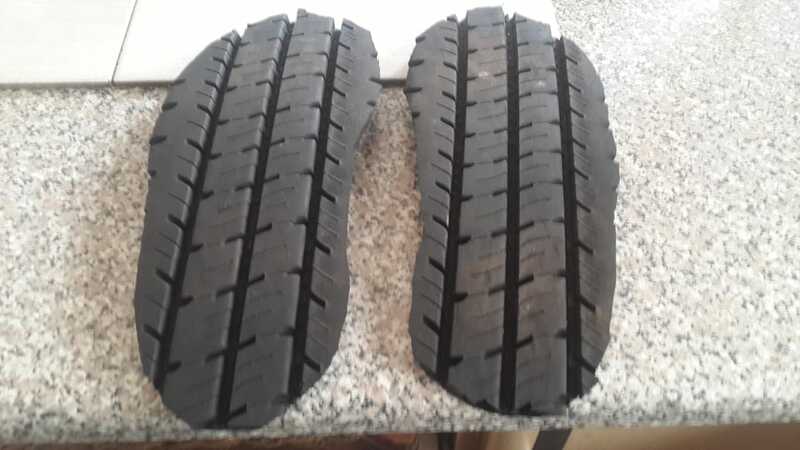 When it arrives I will complete the finishing on the Vellies. 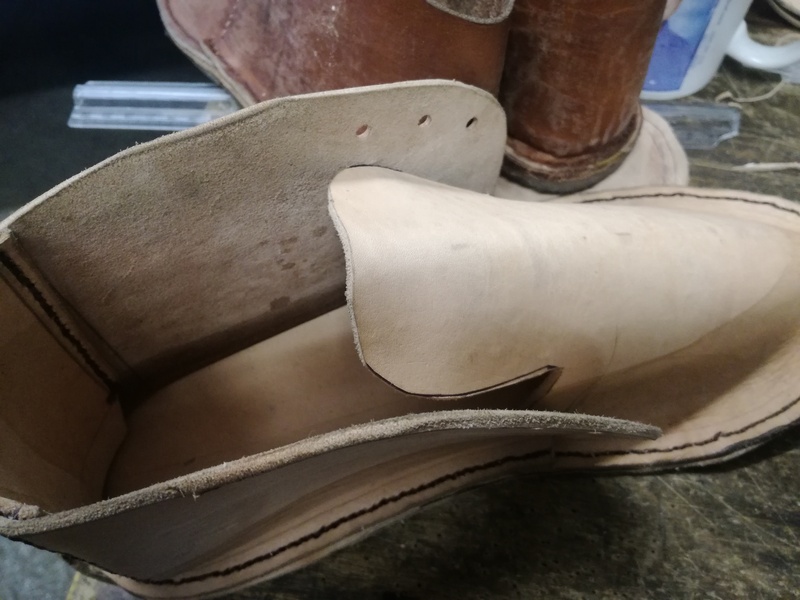 Here is the pair I made for my wife, she wanted a dark finish, I still need to polish this pair ..
Fortune smiled on me when a friend asked me to replace his velskoene `s soles with leather soles, I am doing this for him in a trade for a .303 bayonet ....so it is not always about money, trading stuff is a great way to acquire other valuable items..
Great job sir, this seemed like a fun project that was worth the time and effort. 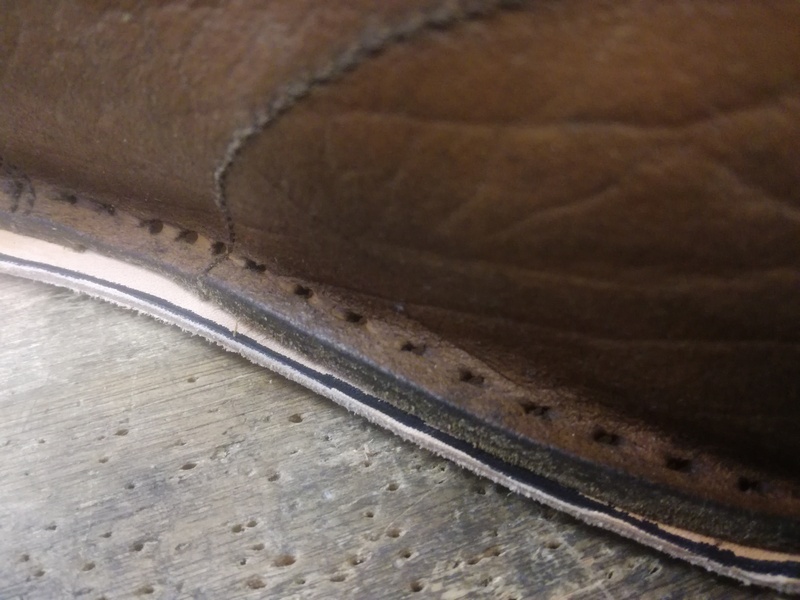 Gert can you show us a photo of the old vellies with the new sole as a matter of interest? 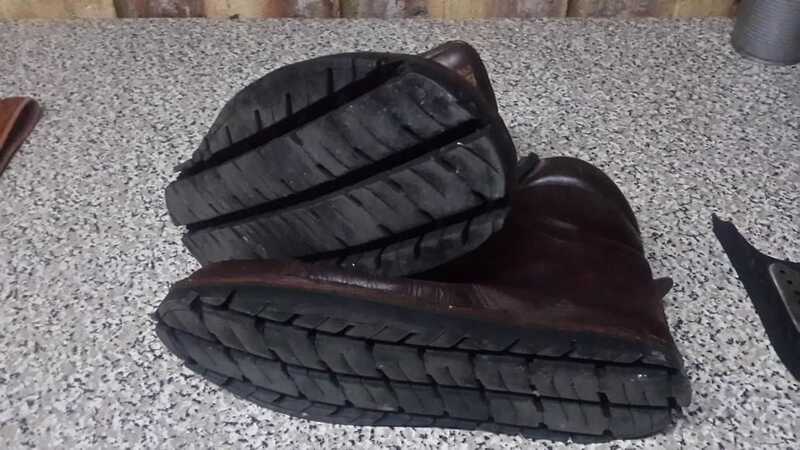 Here are the soles he used, it really is great.. 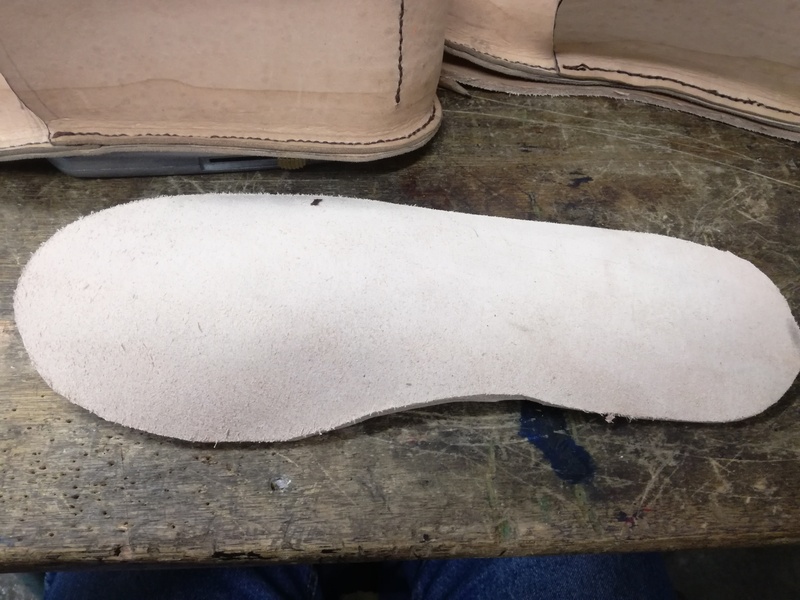 Pretty intense sole there! 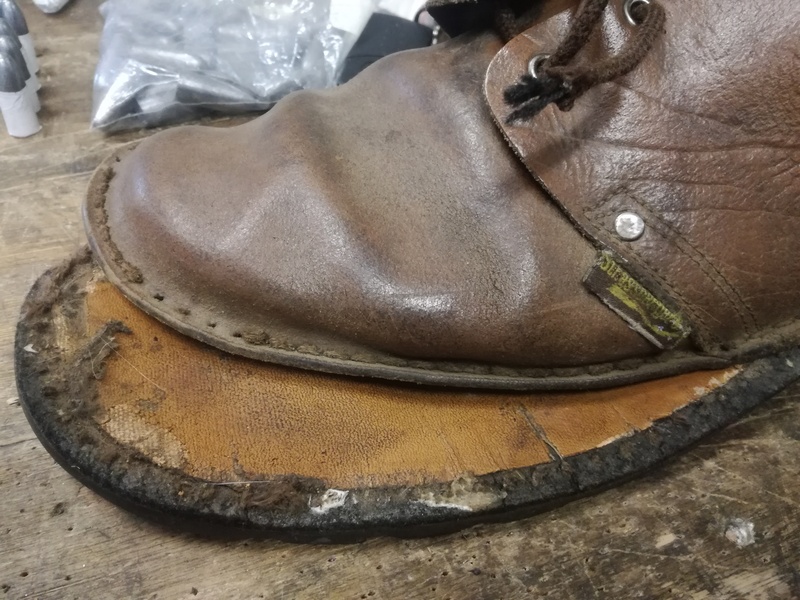 I wonder what mileage he'll get on it?